The message of the this book is so valuable. Mothers need each other! We all know this, but our culture makes it very difficult to work together as women used to. But this book doesn’t just point out the problem. 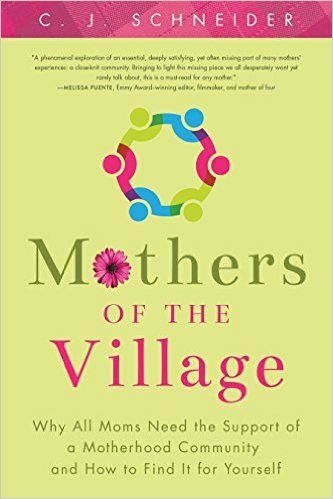 It gives inspiring stories and examples of how we can be there for each other as a village of women who not only need each other, but look out for each other and find new ways to work together. And not only do mothers need each other, our children need the love and concern of many adults. This really jumped out at me as I haven’t considered that aspect of the village as much. (Sure, I knew I needed the help of other mothers, but my kids need their help, too!) This book has inspired me to put forth a greater effort into the lives of the children around me. The author encourages women to find meaningful ways to engage in society. Chit chat and social media friendships will only partially fill that need. As women, we are the builders of the village, and our lives will feel hollow if our work is not meaningful. She also points out the benefits that all generations can reap if we reach out into our communities more. It will require stepping out of our comfort zone, but it’s worth it! This book teaches that society is a whole, so we need to work together to include every piece. Buy this book for yourself. Give a copy to your closest girlfriends. Then give a copy to the new woman in your neighborhood, or the woman in your church congregation who has just given birth. Give her some tulips at the same time, and when she gets to that part of the book her heart will burst.